We at MeetingPlay stress it a lot – even on our own blog – the importance of event engagement. Not just during your event, but before your event, and after your event as well. A great hashtag for your event is essential – but what constitutes a great event hashtag? Twitter allows a limited character count, so by keeping your event hashtag short, you allow space for your actual message. There’s no point in having an event hashtag if you are not using it and encouraging your event attendees to use it as well. Share the hashtag on your social channels, include it in your mobile event app, and have it printed on any documents you distribute. To learn how to become a hashtag hero at your next event, click here. By adding an event to your Facebook page, you allow an opportunity for your event attendees to interact and engage. Once you publish your event, your event’s page will show up. You'll be taken to your event where you can invite guests, upload photos, share posts and edit event details. Tip: Don't forget about the importance of video. In 2016, Facebook began predicting that their site would be largely video within 5 year. For stats around the importance of video, click here. This is a great opportunity to show a video from last year's event to showcase the popularity of the event. 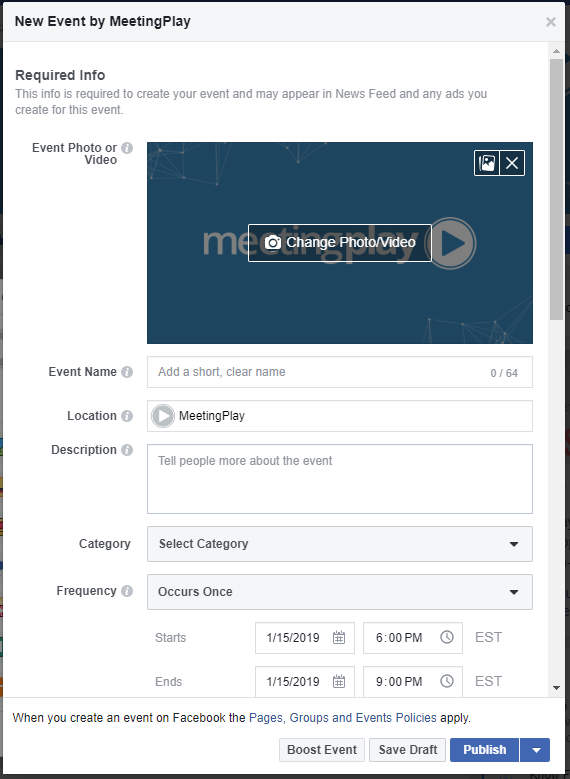 And just in case you make any mistakes, cancel your event, or no longer want the event page to show up on Facebook, you can choose to delete the Facebook event page by going to Edit on the event page and then deleting. It’s important that when encouraging pre-event engagement, you don’t just create a hashtag, an event page, or one news e-blast, and then do nothing again until the event. Pre-event engagement is a hand-holding procedure, and you must be the example for your event’s attendees. Keep the conversations going – engage often. Encourage your event attendees to do the same. Pre-event engagement is no easy feat, but it doesn’t have to be impossible. By following the tips above, you can build a strong pre-event engagement that can continue to be built upon and leveraged during your event, and after your event as well. Get more the most from your next event, read our complete guide to event engagement.